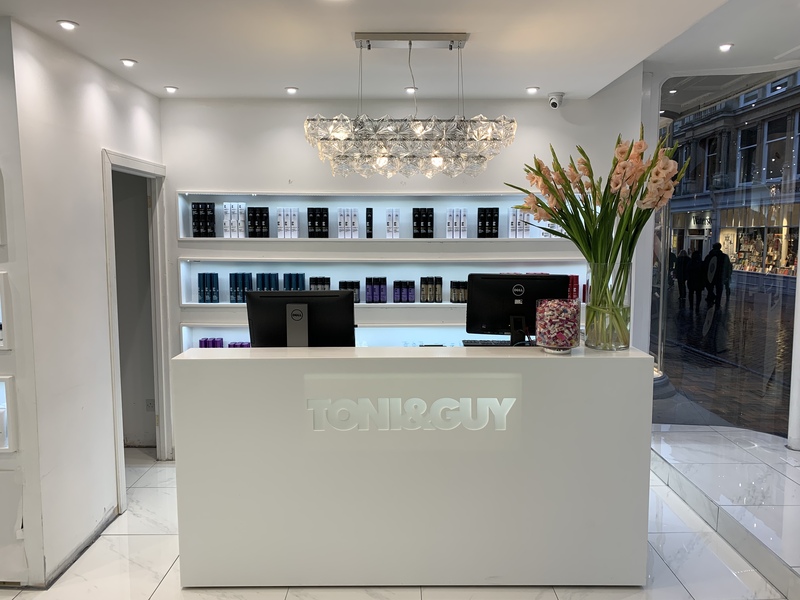 TONI&GUY Ipswich has a well-established team with Christine as an original member. Working hard to ensure all our clients get the best possible service, the salon manager Sarah has been with TONI&GUY since 2003 working closly with the Franchisees Charlotte and Dean Spearing. The staff’s loyalty and local knowledge comes shining through with many of the team holding the prestigious L’Oreal Colour Degree and trained in both Cut and Colour services. Offering a talented team of stylists and colour techniques, Ipswich's leading salon will have you leaving happy with the exensive skill set and industry experience. Had a wonderful relaxing experience. Christine was friendly and has made my hair look and feel amazing. Thankyou. Thank you for leaving a 5* review, we are glad you had a great experience and look forward to seeing you again soon! Thank you for taking the time to leave a review, we are glad you had a great experience! we look forward to seeing you again soon. Brilliant colour by Sophie followed by great blow dry by Christine. Excellent professional service as usual. Thank you both. Thank you for taking the time to leave a review, we are glad you had a great experience and love your hair by Sophie and Christine! we look forward to seeing you again soon. Once again I was made to feel special and important and greeted very warmly by my stylist Zoe. The whole experience from consultation about my hair and colour, to having my hair washed and the fantastic head massage was thoroughly enjoyable. I honestly wouldn't want anything to change. Since meeting Zoe I have never had so many compliments about my hair. Thank you for taking the time to leave a review, we are glad you had a great experience and love your hair by Zoe! we look forward to seeing you again soon. Sophie did a fantastic job today, I had full head of highlights, a cut and a keratin treatment. Sophie made me feel she was completely in control and knew exactly what she was doing. A great experience, thank you. Love my hair!! Thank you for taking the time to leave a review, we are glad you had a great experience and love your hair by Sophie! we look forward to seeing you again soon. Thank you for taking the time to leave a review, we are glad you had a great experience with sammy! we look forward to seeing you again soon. Thank you for taking the time to leave us a 5* review! we look forward to seeing you again soon. Booked an early 8am appointment at Toni & Guy Ipswich. Had a Smart Bond hair treatment and a haircut, both of which made me feel human again. Thanks for the lovely haircut - I will be back. Thank you for taking the time to leave a review, we are glad you had a great experience and love your hair! we look forward to seeing you again soon. No matter what catastrophic hair colour I bring to her she always manages to make it look awesome and is very honest about how to go about everything. Genuinely never used salons before, but I will happily continue to use this salon because of sammy. Thank you for taking the time to leave a review, we are glad you had a great experience and love your hair by Sammy! we look forward to seeing you again soon. Fantastic service from the moment I arrived to the moment I left with my fresh new hair cut and colour. Excellent styling and great overall service. Thank you Christine and the Team. Thank you for taking the time to leave a review, we are glad you had a great experience and love your hair by Christine! we look forward to seeing you again soon. Sophie and the team were very friendly and I am really pleased with the cut. Thank you for taking the time to leave a review, we are glad you had a great experience and love your haircut by sophie! we look forward to seeing you again soon. Brilliant experience as always. Thank you. Thank you for taking the time to leave a review, we are glad you had a great experience. we look forward to seeing you again soon. Full head highlights with Zoe. Fabulous thank you. Excellent service, couldn’t be more happier.